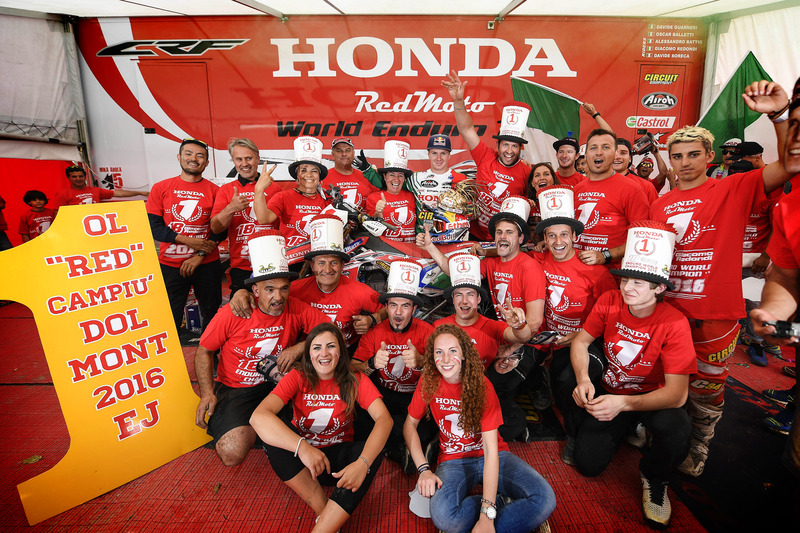 FWF with Team Honda RedMoto Racing World Champion!!! 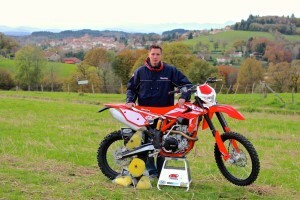 FWF with Team Honda RedMoto Racing World Champion Enduro EJ! Thanks to the amazing performance of Redondi Giacomo!!! Congrats Champ!!! 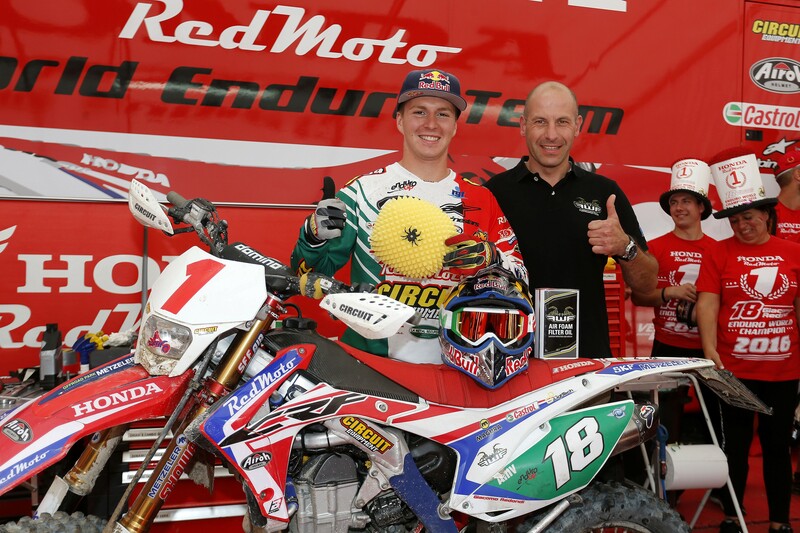 Amazing Italian Grand Prix for Honda-RedMoto World Enduro Team. Two days of passion, sweat, fight, determination, perseverance and joy. A weekend in which the dream of the triumph finally became true in a thrilling competition, in front of an audience sparked to joy. Arrived in Fabriano (near Ancona) for the seventh round of the Enduro World Championship, with an advantage of 70 points, for Giacomo Redondi it was enough a sixth place to get the EJ World Title. But in the home race he wanted to do it right. Getting the 13th victory in a row, Redondi conquered the Title with three competitions still to race. The World Title has not stopped his race towards another milestone: the record of consecutive victories in a single season, getting on Sunday his number 14 on 7 GP. Before him, only David Knight in 2006 had achieved this record, but it’s the first time in the enduro history that an Italian rider rules in all the GPs. TM Racing Filters are now on stock and asap online! Contact your local dealer or use our webshop. Summer leave 7/8 till 23/8 and webshop closed. We will be on Summer leave from 7/8 till 23/8. We’re unable to ship any webshop order during this period. Our apologies in advance for any inconvenience this may cause. We wish you an awesome summer break! EWC GP FunnelWeb Filter of Belgium Huge Succes!!! The Maxxis FIM Enduro World Championship signed off on a terrific inaugural GP FunnelWeb Filter of Belgium with closely fought racing across all classes. Despite a late downpour of rain, Antoine MEO (KTM), Mathias BELLINO (Husqvarna) and Eero REMES (TM) all made it two wins in a row in their respective classes in St Hubert. With heavy rain catching the majority of riders on the fourth and final lap of the day, the GP of Belgium gave competitors a complete test of fitness and mental strength this weekend. 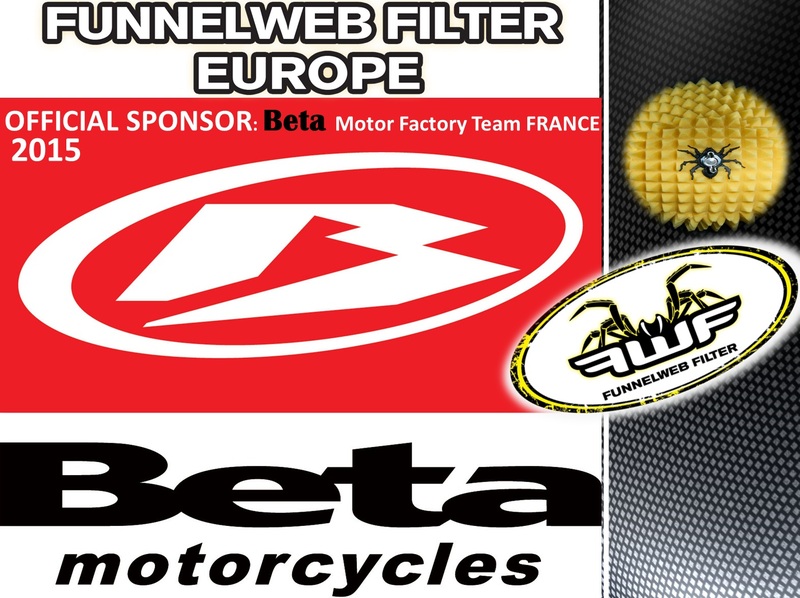 FunnelWeb Filter becomes a major partner of the EWC for the 2015 season! One of the most exciting brands in the sport of off-road riding and racing FunnelWeb Filters are the new sponsor of the 2015 Enduro World Championships. In what is a positive relationship between two very passionate companies, one which will only give both FunnelWeb and the Enduro World Championships an improved look in 2015. The FunnelWeb Filter is designed and produced by an Australian owned company which has more than 30 years’ experience with foam filtration. Foam air filters have been used in off road motorcycles for nearly four decades and are now standard equipment in the vast majority of off-road motorcycles worldwide. The foam filter’s basic design has had little change since its inception so we decided to do something about it. We have utilized the latest technologies in open cell polyurethane foam profiling to substantially increase the filter’s surface area, not only offering more protection, but enabling the filter to last longer before cleaning and recoiling. Tough, injection molded urethane seals were chosen for a precise fit, positive seal and extreme strength. Over the years, more than two thousand filters have been tested in some of the harshest conditions imaginable to give us the name of being the best! We give teams like Beta France, Beta USA, KTM Enduro Supported Team, Team Dumontier Yamaha France the best opportunity to have complete confidence in their bikes and with the FunnelWeb Filter we know that their engines will stay clean. FunnelWeb Filters are 100% Made in Australia and are distributed in Europe by FunnelWeb Filter Europe / CTE Parts BV managed by Niels van Kempen and based in Leende in the Netherlands. “We want to give our products a bigger exposure and prove their quality in the most difficult extreme conditions… that’s why we have contacted ABC Communication in order to become a partner of the Enduro World Championship that represent a “must” in the Off Road!” said Niels van Kempen. FunnelWeb Filter becomes a major partner of the EWC for the 2015 season and will be present on different rounds with its commercial stand and race assistance, and it will start with the Grand Prix of Belgium (St Hubert – July, 11th – 12es) as FunnelWeb Filter will be the title sponsor of this GP! Beta USA Factory Race Team and FWF! There is no sport that demands more from the performance of a bike than the tough world of Enduro. Dust, mud, rocks, water and some of the most difficult terrain is something the Beta USA Factory Race Team will face in 2015, and now with a new relationship with FunnelWeb filter the Beta riders know they have the right product to get them through the most difficult races in their up-coming season. Beta USA Factory Race Team Manager Zack Huberty is looking forward to this new business relationship and can see already that the FunnelWeb Filter makes a big difference in performance. The Beta USA Factory Race Team have a very strong line-up in 2015, including Kyle Redmond, who will race the Endurocross, Erzberg and FIM World Super Enduros; Max Gerston who will compete in the Endurocross; Jesse Groemm, Cory Buttrick and Justin Sode who will all compete in Enduro and GNCC. Also Morgan Tanke who will race the Endurocross (Women Pro) and Ty Cullins (Amateur) Endurocross and Trial. Their Satellite team will be Purvines Racing with riders Nick Burson and Axel Pearson. Official sponsor of the Beta Motor Factory Team France! FunnelWeb Filter Europe: Official sponsor of the Beta Motor Factory Team France! We are proud to announce our official partnership with Beta France. Soon we will add more pictures of the complete team, so stay tuned! Our FWF webshop is online and ready to take your order. You can pay thru PayPal or Ogone. This means with your credit card or your card from your local bank. So check it out at the tab “shop”. TESTED BY MotoMag and approved! Elkay Sports bv introduces an innovative air filter that is completely new to the market! Want rivals to eat your dust? Welcome to the future of off road motor cycle air filter technology – The FunnelWeb Filter. Years in the making and manufactured right in Australia, the FunnelWeb has been designed by industry experts to withstand even the most extreme conditions. The key is in its shape, allowing for a 100% increase in dirt trapping surface area. FunnelWeb filters use local componentry, specially crafted for often harsh environment – and tested over several years with the assistance of the Australian KTM Race Teams. Despite facing arguably some of the world’s toughest racing conditions, FunnelWeb’s greater filter capacity has provided maximum bite time and again – playing its part in a number of championship wins throughout its development. The final product gives you and your bike maximum efficiency and maximum results. 100% Australian made, FunnelWeb represents an exciting new era in air filters. FunnelWeb filters are the result of years of design and innovation – tested and proven to work. Compared to conventional foam air filters, a FunnelWeb filter offers more protection and higher airflow rates even when dirty so its lifespan is twice as much as a normal style air filter. Its unique shape simply works better for longer – providing killer performance in all conditions. MX1 GP of Lierop in the Netherlands was a great succes! 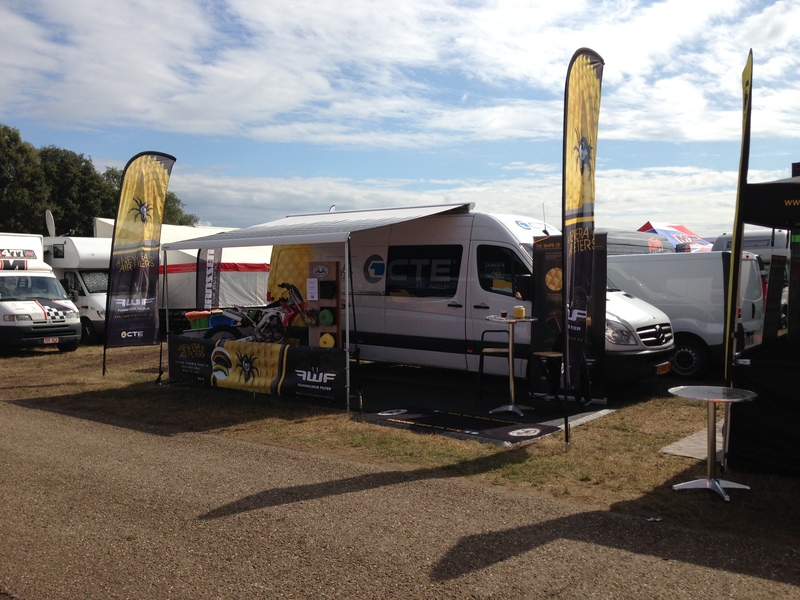 Wow what a great weekend it was, as we had loads of mx-fans coming over to our stand. We want to thank you all for all the positive reactions. The most frequent asked questions; Where can I buy it? At your local dealer! Hope to see you soon at the races or at the dealer.